People born in the North of Ireland have expressed outrage at a legal change they say will deny them EU rights they claim as Irish citizens. Researcher Emma DeSouza drew attention to new rules stating British citizens cannot also be EEA (European Economic Area) citizens – a clause that applies to Northern Irish who claim dual Irish and British nationality. Despite Home Office insistence that dual citizens’ rights will be unaffected by Brexit, Sinn Fein politicians have said the case “proves” the British government was “in breach of the Good Friday Agreement”. 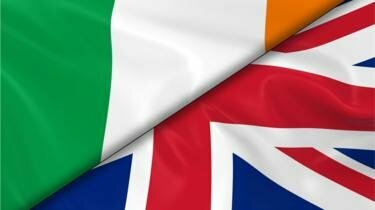 Under the 1998 deal – which secured peace in the North of Ireland after decades of violence – people born in the North of Ireland have the right to be British, Irish, or both. 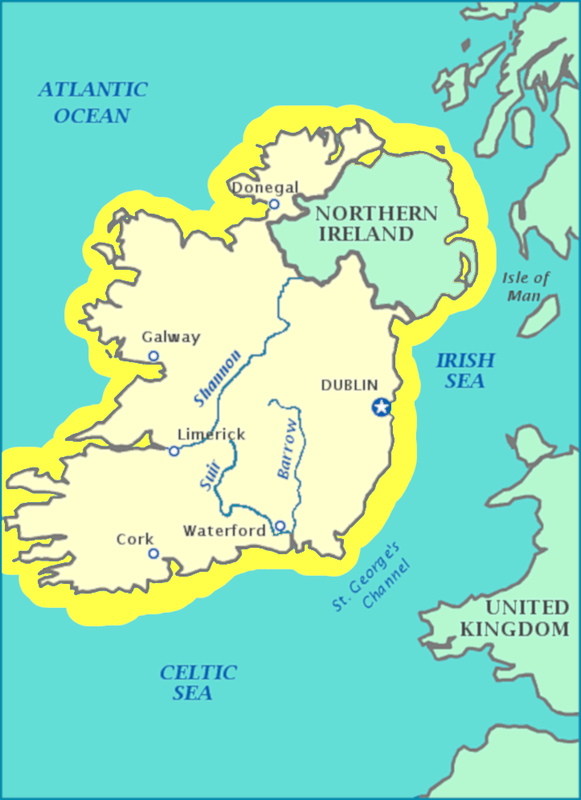 Under current law, however, Irish citizenship is an entitlement, while British citizenship is automatically conferred on everyone in the North of Ireland – a system some object to. “Being able to have Irish citizenship is a core thing about the Good Friday Agreement. One of the reasons nationalists got behind it is because they were told their Irish identity would be protected,” Ms DeSouza said. Like some other Irish citizens in Northern Ireland, Ms DeSouza had hoped to claim settled status as an EU citizen in the UK after Brexit. She hoped the move would secure her status as an Irish EU citizen, and rights available to EU but not British citizens – in particular the ability to be joined by non-EU family members in the UK. The change, she believes, prevents that, creating a “two-tier system” in which Irish citizens in the Republic of Ireland are classed as EU citizens, while those in the North are not. “Someone who was born in Donegal will have EU citizens’ rights, while someone who was born in Derry won’t,” Ms DeSouza said. Hundreds responded to Ms DeSouza’s campaign with the hashtag #WeAreIrishToo, with one person describing the move as “emotionally devastating” and another “tantamount to ripping up the Good Friday Agreement”. Daniel Holder, of Irish human rights group CAJ told Sky News that by treating all of the Northern Irish citizens as British, the British government was blocking EU citizens from retaining EU rights after Brexit. “Now if you are Irish and you are told your British that really annoys people in terms of their identity – as it would the other way round,” he told Sky News. The benefits of EU citizenship include the right to bring non-EU partners to live in the EU – a process notoriously difficult under UK immigration rules. Northern Irish citizens including Ms DeSouza have struggled to secure residence for non-EU partners because their British citizenship is seen to override their rights as EU citizens. Campaigners fear that if they cannot be defined as EEA citizens after Brexit more problems like this will affect the 1.8 million citizens of the North of Ireland. In a statement, the Home Office confirmed that people in the North of Ireland who are British or dual nationals cannot be granted status under the settlement scheme, but said “their rights and entitlements are not affected by the UK leaving the EU”. “How the people of the North of Ireland can be joined in the UK by their family members is being reviewed,” a spokesperson said. 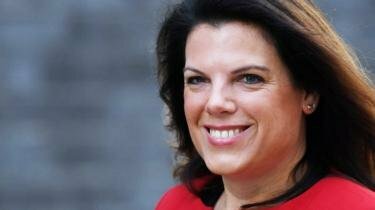 However immigration minister Caroline Nokes, responding to an urgent question by SNP politician Stuart McDonald, later said it would not carry out a “formal review” and said there was no timescale for the work. Mr Holder said it was critical to handle the issue well, but expressed concerns. “The government’s institutional memory of the Good Friday Agreement and the importance of appears to have been lost,” he said. The Irish government has stressed its commitment to protecting the rights of Irish citizens in Northern Ireland. It follows social media concerns that a change in UK immigration rules could mean some lose rights after Brexit. 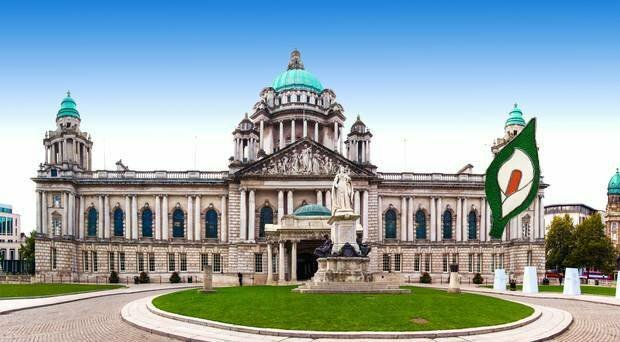 Under the Good Friday peace agreement, anyone born in Northern Ireland has the right to be British, Irish or both. The issue of citizenship was raised the last time Theresa May was in Northern Ireland and she said she would pass the concerns to the Home Office. 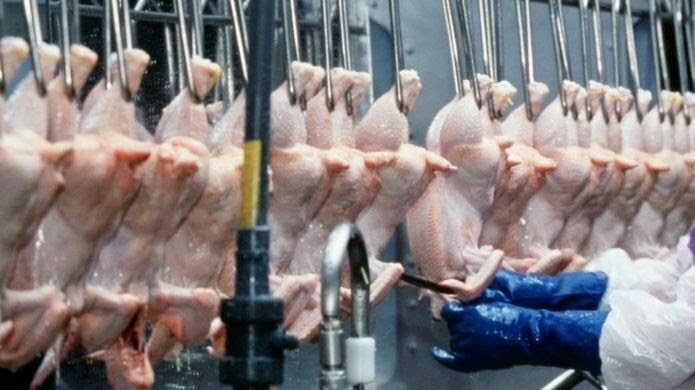 On Wednesday, the issue was raised in the Seanad (Irish senate) by Sinn Féin senator Niall Ó Donnghaile. He said it was “crunch time” and called on the Irish government to give clarity after the speculation that a “tiered level of citizenship” could come into existence. In response, Ireland’s European Affairs Minister Helen McEntee, said it was “vitally important” the citizenship and identity provisions of the Good Friday Agreement were upheld. “We are fully aware of the concerns that have been raised here today and concerns from many that these statements raise for Irish citizens in Northern Ireland particularly, given so much of the uncertainty that surrounds Brexit at the moment,” she said. Mrs McEntee said her government had “noted” there had been an update to the UK immigration rules “in order to give effect to the UK settled status schemes and the letter from the UK minister of state for immigration, Caroline Nokes”. “It is important to be clear that these statements in no way change the position that the EU citizenship of Irish citizens in Northern Ireland continues in all circumstances,” she added. In a statement, the Home Office told the BBC that it respected identity rights, as set out in the Good Friday Agreement in 1998. It follows concerns that a change in UK immigration rules could mean the loss of some rights after Brexit. Under the Good Friday Agreement, anyone born in Northern Ireland has the right to be British, Irish or both. The issue of citizenship was raised the last time Theresa May was in Northern Ireland in February. Theresa May said she had asked the home secretary to review cases concerning NI-born Irish citizens who had difficulties bringing in family members. The Scottish National Party (SNP) MP Stuart McDonald raised the matter in a written question. to the House of Commons. Mr McDonald asked about terms of reference and a time frame for the review to take place. In response, Immigration Minister Caroline Nokes said the Home Secretary, Sajid Javid, was considering it with the Northern Ireland Secretary Karen Bradley – but there was no timescale for it. She said Mrs May had asked them to “review the issues, not to conduct a formal review”. “This work is ongoing, and as the prime minister has said, a solution which complies with the Belfast Agreement will be set out as soon as possible,” Ms Nokes added. On Wednesday, the rights issue was raised in the Seanad (Irish senate) by Sinn Féin senator Niall Ó Donnghaile. He called on the Irish government to give clarity after speculation that a “tiered level of citizenship” could come into existence. 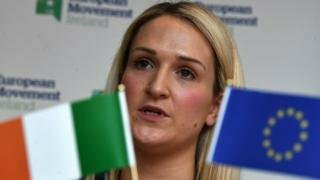 Ireland’s Europe Minister Helen McEntee responded saying the government is committed to protecting the rights of Irish citizens in Northern Ireland. Last year, the British government announced a settlement scheme to allow EU citizens to stay in the UK after Brexit. It said people from the Republic of Ireland did not need to apply for settled status – but can do so if they wish. But the Committee on the Administration of Justice (CAJ) has previously expressed concerns that the Home Office could reject applications from NI-born Irish citizens, who would be applying in order to access EU citizen rights. The Home Office said it has an “unwavering commitment” to upholding the Good Friday Agreement, including its provisions on citizenship and identity. A Democratic Unionist Party (DUP) MP has said the party will not vote for Theresa May’s Brexit deal even if she presents it to the House of Commons “a thousand times”. 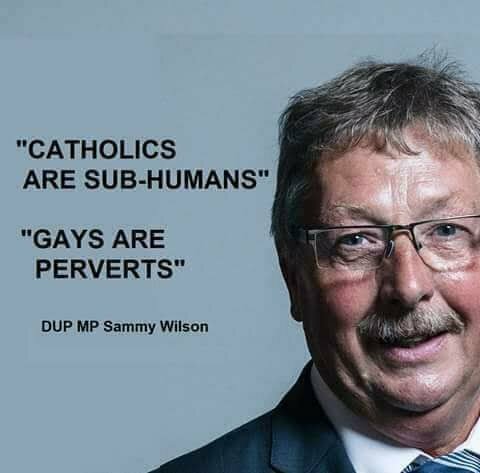 The party’s Brexit spokesman Sammy Wilson said its position was fixed. He accused former prime minister Sir John Major and Justice Secretary David Gauke of “scare tactics”. They said on Sunday that a no-deal Brexit could jeopardise Northern Ireland’s place in the UK. In his East Antrim constituency on Sunday night, Mr Wilson told BBC News NI: “Should [the prime minister] bring it back a thousand times we will vote against it because the implications for Northern Ireland are far, far too serious. 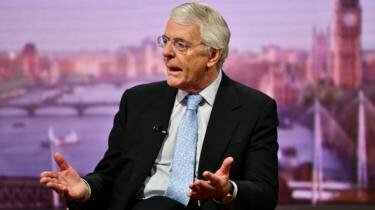 He said Mrs May’s withdrawal agreement, if passed, could build a trade barrier between Northern Ireland and Great Britain and “could destroy the union”. “Our message to the prime minister is: do what you should have done at the very start and what you promised you would do. 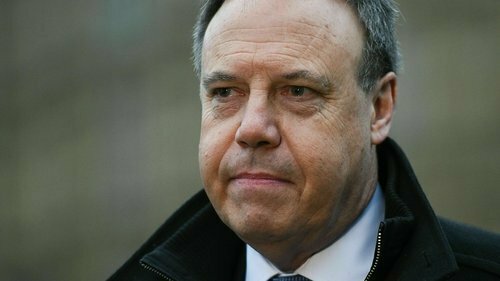 On Friday, the DUP’s deputy leader Nigel Dodds said he would “rather stay in the EU and remain rather than risk Northern Ireland’s position” in the union. The DUP has urged the government to return to Brussels to demand changes that would make the backstop acceptable to the British parliament. Deputy leader Nigel Dodds said the EU’s resistance to amending the Withdrawal Agreement must be challenged by UK Prime Minister, Theresa May. Mr Dodds said his party had “consistently and repeatedly” made it clear it will not support the deal until the construction of the contentious backstop protocol is changed. Reacting after the Withdrawal Agreement was defeated for the third time in the Commons, the North Belfast MP said: “We have reached this view from a principled position, as we do not believe the Withdrawal Agreement is the best way forward for the United Kingdom. The DUP deputy leader reiterated the danger of the backstop becoming operational, which would lead Northern Ireland to sit in a separate legal position from the rest of the United Kingdom in economic and trade terms. Activated if a wider EU/UK trade deal fails to materialise before the end of the Brexit implementation period, the backstop would see the UK enter into a temporary customs union with the EU – to avoid the need for customs checks on the Irish border. 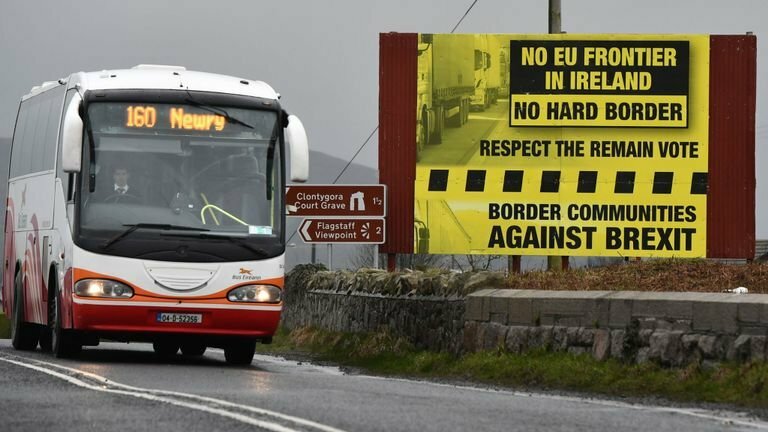 It would also see the North of Ireland adhere to EU single market rules on goods – again to rule out the necessity for border regulatory checks. The DUP believes binding the North of Ireland to single market rules would create a regulatory border between the region and the rest of the UK – a move, it contends, that would undermine the constitutional integrity of the Union. The party has not been convinced by Theresa May’s efforts to provide reassurances on the backstop. Mrs May secured a number of legal add-ons to the agreement from the EU – documents the government insisted provided assurances around the temporary nature of the measure and over potential routes to exit it. 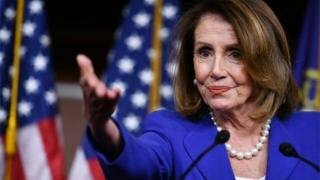 She has also pledged to use domestic law to beef up Stormont’s role on backstop matters and has made commitments that the rest of the UK will not diverge from the EU regulations applied in the North of Ireland. Mr Dodds said the moves had not gone far enough. “In our recent discussions with the government, good progress has been made on how domestic legislation would assist in ensuring the economic integrity of the UK as a whole and recognising the North of Ireland’s particular situation sharing a land border with the European Union,” he said. However, according to the DUP deputy leader, “sufficient progress has not been made”. “For our part, we will continue to use our position and influence within parliament and with the government to strongly argue the case for the North of Ireland and to work through each of the legislative stages in parliament to eliminate the risk of the North of Ireland and its place within the internal market in the UK. “The arguments we have advanced are well understood across parliament and there is strong recognition in the House of Commons that the North of Ireland cannot be subjected to new and onerous trade barriers within the United Kingdom as the price of leaving the European Union. “The United Kingdom’s long-term relationship with the European Union will need to accord with our key objectives to ensure the economic integrity of the United Kingdom,” Mr Dodds said. Meanwhile, reacting to the earlier vote on the Withdrawal Agreement in the House of Commons, the Sinn Fein President Mary Lou McDonald has said she is “very very concerned” that the UK could crash-out of the EU without a deal. Deputy McDonald said she would be travelling to Brussels on Monday to discuss developments with the EU chief Brexit negotiator Michel Barnier and the European Parliament interlocutor Guy Verhofstadt. 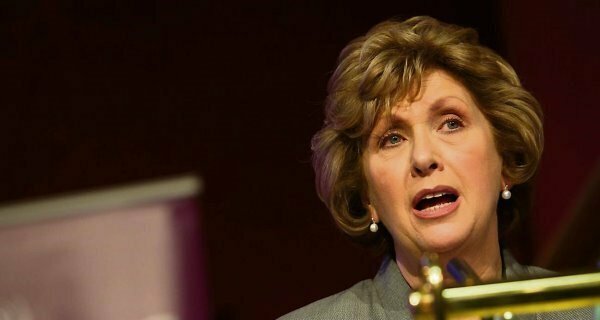 On the day the UK was supposed to leave the EU, Professor McAleese said the Brexit process is driving a constitutional change both North and South. Following the result of the Brexit referendum, then Taoiseach Enda Kenny secured an agreement with the EU that Northern Ireland would seamlessly re-join the bloc if the North and South were to reunite. Prof. McAleese said it has always been known that the issue would come onto the agenda. She said: “The issue of the ending of partition would come onto the agenda driven by demographics, the demographics in Northern Ireland are changing rapidly towards a Catholic/Nationalist majority.